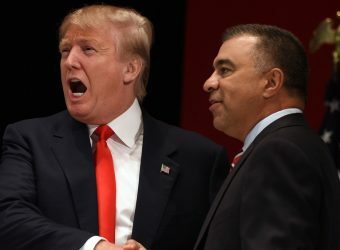 Sources close to the President confirmed to JFRS that former Trump for President deputy campaign manager David N. Bossie has moved near the top of President Trump’s choice for White House chief of staff. Bossie, who joined the Trump campaign during the general election and reported to campaign manager Kellyanne Conway, is also the co-author, with Corey Lewandowski, of two recent New York Times bestseller books on Trump: “Let Trump Be Trump,” chronicling the campaign, and the recently released “Trump’s Enemies,” detailing what the authors view as deep state conspirators undermining the President’s agenda. The whirlwind of candidates emerging to replace outgoing chief of staff Gen. John Kelly, who President Trump announced would leave his post at the end of the year, reached a fever pitch this week when perceived successor Nick Ayres, of Pence world, reportedly withdrew himself from consideration. 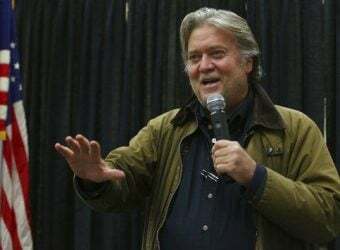 Bossie, a confidant of Trump, has emerged as an overwhelming favorite of the President’s base supporters, many of whom believe the West Wing has been infiltrated with Republican operatives who don’t believe in Trump’s America First agenda and are not loyal to the President. 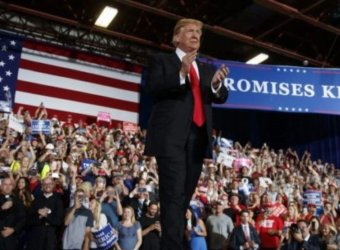 The Bossie boom-let has been met with a social media explosion of support and enthusiasm from Trump’s most ardent backers. The choice of Bossie would be seen as a huge nod to Trump’s core supporters, who he needs to hyper-motivate in 2020 for his re-election campaign to be successful. Many told me for two years they’ve felt betrayed or “punched in the teeth” as one Trump campaign director put it, by professional Washington Republicans who took over the Trump Administration. “Some of them didn’t even vote for Trump, and got key jobs and influence,” said a battleground state director who got “kicked to the curb because I’m a true believer.” Both asked for anonymity to speak candidly. Others told me if they were an early Trump supporter they were “blacklisted” by the RNC who wrestled control of the White House PPO [personnel office] early on and booted out agency applications from Trump campaign workers. Bossie told us he would be “honored to be offered the position,” and confirmed that he has a luncheon with President Trump on Friday to discuss the matter. 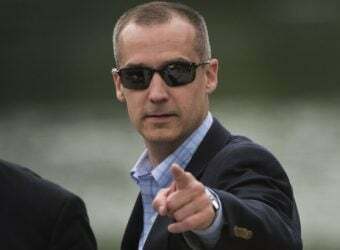 In an interview on my radio show on Tuesday, former Trump for President campaign manager Corey Lewandowski, who serves as an informal adviser to President Trump, and who was a Kelly antagonist, gave a full-throated endorsement for Bossie. 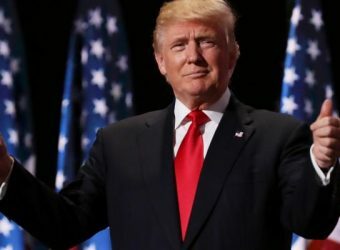 “Number one, you need a person who understands Donald Trump. And what I mean by that is not somebody who thinks that Donald Trump should be behind a desk, not talking to people. You have to let Trump be Trump. Dave Bossie knows something about that,” Lewandowski said. 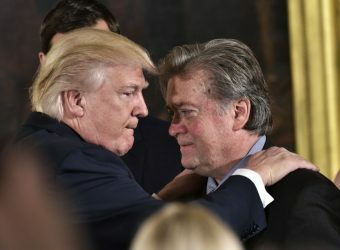 “Number two, you need someone who’s looking at the 2020 election cycle and knows what’s at stake—and how every decision that the White House is making now may or may not impact the 2020 election,”Trump’s former campaign manager added. “Number four, this job requires a person who is unselfishly willing to give up everything that they’re doing to put their career on hold, their family on hold, and go and put their time in to help this President be successful. I know Dave would do that,” Lewandowski said. Many observers say Bossie is the one choice who could marry the President’s legislative agenda with his re-election message in a seamless fashion. Having served as a chief congressional investigator in the Clinton impeachment fiasco, he is potentially the only candidate who can navigate around the Democratic House subpoena cannon, which is loading up. Bossie remembers how U.S. Rep. Henry Waxman, a ranking Democrat insulated President Clinton from Republican fire. “He was relentless,” Bossie said. It will be an experience worth its weight in gold –- and a 2020 re-election. President Trump has dared to threaten the unholy alliance between Wall Street Republicans, who want cheap labor to drive their benefactors’ bonuses, and Democrats, who want cheap votes from illegal aliens who will eventually become their reliable constituents. 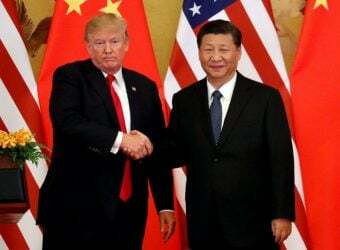 Open trade that yields cheap goods dumped in the U.S. by exploiting countries — at the expense of American manufacturing — means higher stock prices for the Wall Street wolves and hedge fund traders. The ever-growing U.S. military-industrial complex keeps billions of American taxpayers’ dollars flowing to the war-machine makers, their military suppliers, consultants, and ex-officials. See Yemen. They all donate a percentage of their profits back to the uni-party’s candidates so they can do their every-other-year kabuki dance. They fool the American people into thinking core policies would change based on who won. But nothing was ever meant to change. Both major political parties were equally complicit in causing the great recession and financial meltdown of 2008. Who suffered the most? America’s working class. They lost their jobs, their homes were foreclosed, their cars repossessed, and their meager savings wiped out.